A brand I’ve used for years, Biolage keeps me coming back for more. Recently tried the new Biolage Deep Treatment Hair Masks & am sharing why I love to take these #smallbymighty packs in the shower with me. Spring has sprung and with it comes dusting off your spring wardrobe. A must-have for this season: pastel suits. I know, I know, you’re having a Devil Wears Prada moment and thinking, Pastels for spring? Groundbreaking. This year, give this spring staple an edgy update with this menswear twist. Read on for some of my favorites that won’t break the bank. 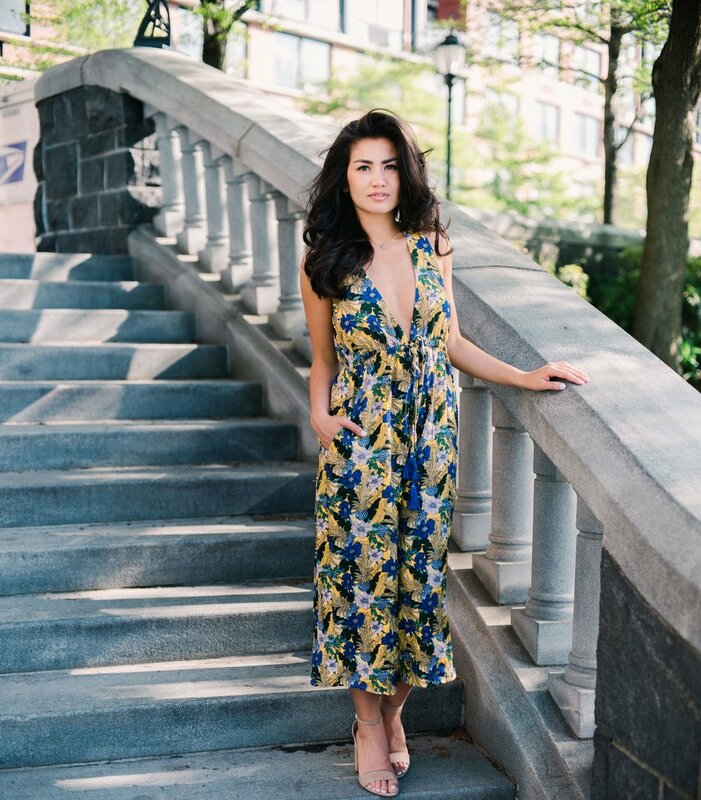 In honor of spring, it’s great to get transitional pieces that are wearable now and into the summer months. Spotlighting one of my favorite brands that transitions really well — Show me Your Mumu. Bringing the boho Cali look to Brooklyn and making it my own. Read on for other ideas on how to style their pieces and become a Mumu girl, too! You guys…hate to admit it but I’ve made every travel mistake in the books. You’re going to want to check out this list to save yourself from wasting money and feeling stressed. All compiled into one post, here are some stories and tips you about the secret rules nobody tells you about traveling. From restaurants, picturesque points, to the hotel in the heart of it all. Make the most of a trip you’ve been dreaming about with this travel guide to your - Perfect Paris Weekend! The rustic tree-houses transport you back in time with woven stick nests and ocean view canopies. But the dream might be limited to Instagram, as I pull back the curtain on this eco-chic resort that has no electricity, forbids camera pictures, and doesn’t allow you to flush toilet paper down the toilet. Read on for an honest review of… Why I would never stay at the Azulik Tulum again. Known for its white sandy beaches and laid-back vibe, Tulum has transformed over the past few years into an eco-luxury getaway and favorite escape for Americans. But before you lay back & start sipping on that pineapple mojito, I encourage you to check out my full list of favorites with… my Tulum Travel Guide! To me, masculinity is all about an air of confidence. What makes someone even more confident is having a signature scent that represents their personality. I’m gifting my dad this thoughtful Stetson cologne gift and thought you might love it too – so of course I had to share. The holidays can be stressful enough! Don’t let figuring out what to wear to the events be. Here are three outfits to set your stage for a wonderful holiday celebration. All at great prices from Stage.com! WE’RE DATING… BUT… ARE WE “THERE” YET? WHEN IS TOO SOON TO SEND A HOLIDAY CARD? Three months? Six months? One year? How long do you have to be together before sending out a holiday card as a couple? CYBER WEEK DEALS ARE HERE! Moving into a new apartment or looking for some new furniture pieces? Here’s how I decorated my new Brooklyn apartment. Welcome home! WHICH FALL LOOK IS BEST? 🍂Anyone else having too much fun layering up this fall? 🍂Keeping in the spirit of this stylish season, I thought I’d let you all choose which look is best with DSW’s trendiest shoes. It’s time to let your inner style critic do the “walking” - and let the fall face-off begin! 🎃Pumpkin Patches, 🍎Apple Orchards, 🌽Corn Mazes, & 👻Haunted Houses… oh MY! When it comes to starting a new chapter, I always want to feel my most confident. One way I feel my most confident is to change up my typical hairstyle by adding a braid. Check out these two looks if you’re looking for some inspo! Ready for a memorable getaway that isn’t far from your doorstep? Plan a trip to the historic city of Richmond, Virginia for a trendy weekend of sipping on rooftops, walking historic streets, and foodie crawling from brunch to dinner. Thinking about moving to New York City? Wondering where to live… how much does it cost… how should you budget? HIS & HERS EXPRESS JEANS - THE PERFECT FIT! Finding a denim fit isn’t always easy… but when it comes to jeans, Express has the perfect pair waiting for you. Check out which styles Nick’s athletic build and my shapely bum prefer, as we take a walk down memory lane. Capturing memories is fun! But printing & organizing them... not so much. Well, I 've got a surprise for you guys... Making a photo book doesn’t have to be daunting anymore… with artfully designed templates by Mixbook. Come check out the stunning hardcover photo album I made for Nick of our Europe trip earlier this year. 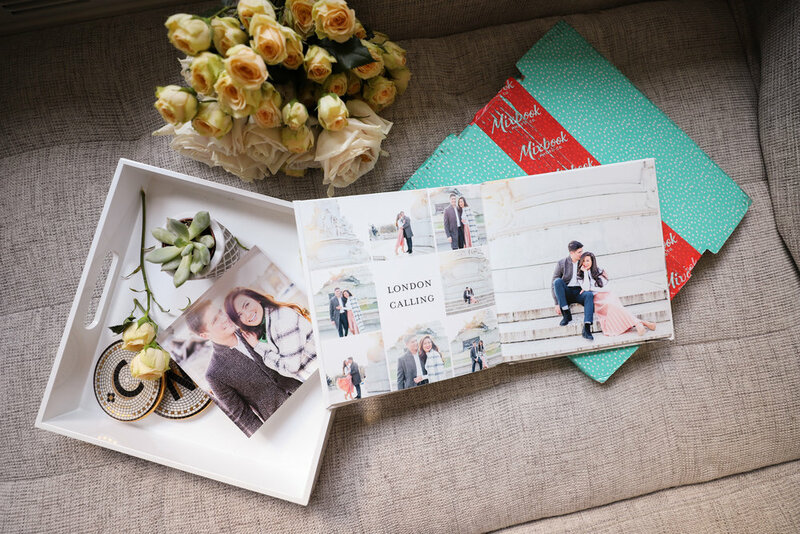 Plus… I’m also sharing 5 Tips for Making the Perfect Photo Album! I can honestly say... the only "high" I get is from finding something adorable on sale. 🙈Find this adorable dress & many more adorable gingham options for Fourth of July or your next weekend trip.. all in this post. Makeup that complements you so much, it'll make you blush. I’ve teamed up with Burt's Bees to share all of the beauty products I used to achieve this natural makeup look. They didn't leave anything out of their makeup.. well unless it's synthetic of course. Like my family, L'Occitaine has a tradition of giving during the holiday season. Today I'm excited to share two luxurious L’Occitane Shea Butter Collection Gift Sets that contribute to making a difference in the lives of children. It's a pleasure to meet you. I'm Just a girl in my mid-20s fascinated by love…and this is my journey to find it. I promise to respect your privacy.